Kerr is always solid in his supposition: It's all about the Story. This time set on the south of France Bernie tangles with former Nazis and current spies. Yes there's a woman and deceit, tension and violence but a superb performance and masterly plotting ensures freshness and a gripping episode in this ongoing Bernie Gunther saga. Highly recommended. Fewer Nazis than usual but more than made up for with a whole cast of real life characters and events. I thoroughly enjoyed Gunther"s eleventh outing. Perhaps more than any previous Gunther novel, some knowledge of Bernie's past certainly adds to the enjoyment. Jeff Harding's reading was, as ever superb. Harding is Gunther !!! Where does The Other Side of Silence rank among all the audiobooks you’ve listened to so far? At last Bernie Gunther crosses swords with the English! 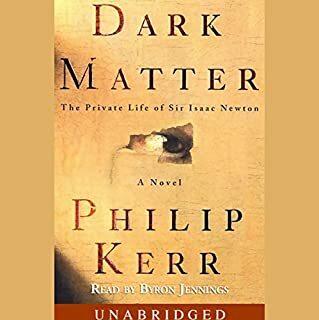 As with the other novels the mix of historical fact (it helps if you have heard of the Cambridge Circle) and fiction makes this compulsive listening. The final show down with the English spymasters. To say any more would be a plot spoiller, but it is classic Bernie! Almost- too long for one sitting, but I completed it in a week! I can't wait for the next installment, as Bernie will be back next year! 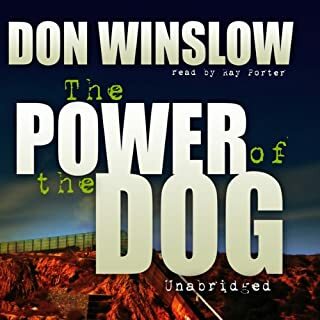 I have long followed Bernie Gunter and think Jeff Harding amongst the two best narrators...and this was back to form. For me a pleasure....intelligence, believable characters, snippets of history and enough twists. I listen to lots of crime books but these are a cut above everything. Up there with Peter Mays Scottish books ....but I prefer Bernie Gunters character-which I could get drink on schnapps with him one day. Once again great story from Philip Kerr. Fantastic twist at the end. Jeff Harding brings it all to life with his brilliant narration. 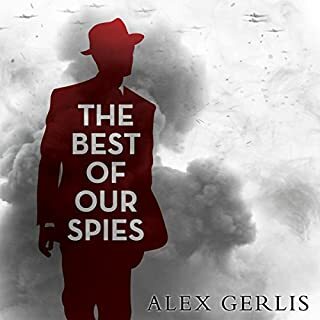 The very best Bernie Gunther novel to date with thought Provoking insights into the Cambridge spy ring and British Mi5 & MI 6.. With lovely unexpected twists, turns, and thank God Jeff Harding is back as he simply is Bernie Gunther. What disappointed you about The Other Side of Silence? The early books are great, but the last 2 have been disappointing. The post war story lines are contrived and not very good. I feel the series would be better served by recounting some pre wars tales. Has The Other Side of Silence put you off other books in this genre? No I love these kind of books. 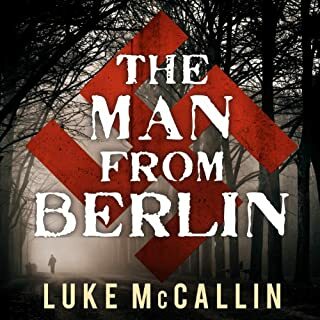 It is great Berlin Noir, but the last few have quite literary lost the plot. Jeff Harding is a great reader and conjures up that 30's style detective noir of Raymond Chandler. "Just a citizen with a past"
Would you try another book written by Philip Kerr or narrated by Jeff Harding? 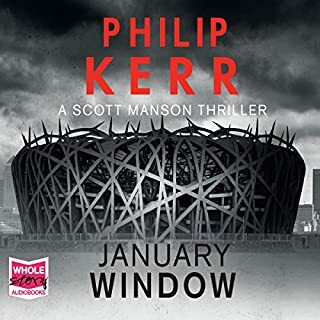 What could Philip Kerr have done to make this a more enjoyable book for you? Loosened the ties to the hero's WW2 past. What three words best describe Jeff Harding’s voice? Was The Other Side of Silence worth the listening time? It’s quite an achievement to export the figure of a tarnished knight-detective from Southern California and the pages of Raymond Chandler to Berlin, where, pre- and during WW2 he is police detective, private eye and, uncomfortably, involved in state security; then to extricate him from the attentions and patronage of Reinhard Heydrich and other lesser Nazis; before moving him around around the world, post-1945. Here, in the eleventh Bernie Gunther novel, it is Cap Ferrat, 1956, and Gunther is a likely suicide case, when he is not whiling away time as a hotel concierge, under the name Walter Wolfe, and playing bridge twice a week, But it’s the first-person narration that makes Bernie a more successful heir to Philip Marlowe than any tough-guy American private detective, though, in the audio-version, Bernie sounds fully American, while Germans speak, not in Achtung! English but at least with a sinister English accent. 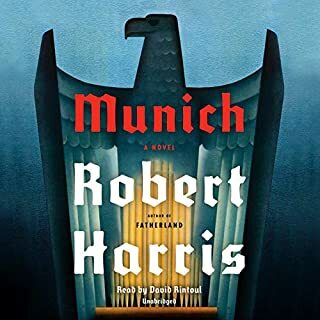 Philip Kerr knows his twentieth-century German and Nazi history well and, in his Berlin novels, he situates the plot expertly as the Nazis come to power and exert it in warfare but with the final solution never far below the surface. In “The Other Side of Silence”, an early reference to Adolf Eichmann getting away with his terrible crimes reminds us that this is four years before he was seized in Argentina, tried in Jerusalem and executed in 1962. The plot is precipitated by the arrival at his hotel of Harold Hennig, ex-Nazi SS, but spirals off into liaisons or encounters with Somerset Maugham, Anthony Blunt, and, at one remove, Kim Philby, Burgess and Maclean, and Roger Hollis. 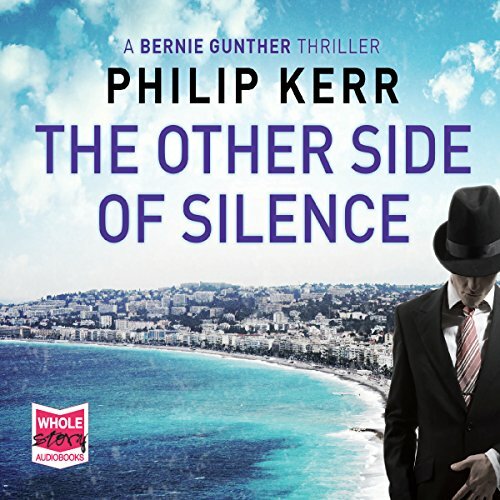 Although Bernie Gunther novels never disappoint, up to a certain level at least, “The Other Side of Silence” is an over-packed and not an entirely successful transition from the Nazi era to the Cold War for Kerr’s “citizen with a past”. Bernie is older and, presumably, better read and the over-crowding is accentuated by his passing and usually tongue-in-cheek references to Goethe, Picasso, Camus, and many more. There's an intriguing Author's Note at the end, which perhaps explains the motivation for Philip Kerr having Bernie Gunther wander into British Cold War scandals.